We offer a varierty of literature, dance, and other cultural programs for all ages. "Rosna Kitka" 10th Anniversary Celebration! Podkrepa began in 1939 in the home of Radi & Petia Cherkezov as a social gathering for Bulgarians and Macedonians new to the United States. 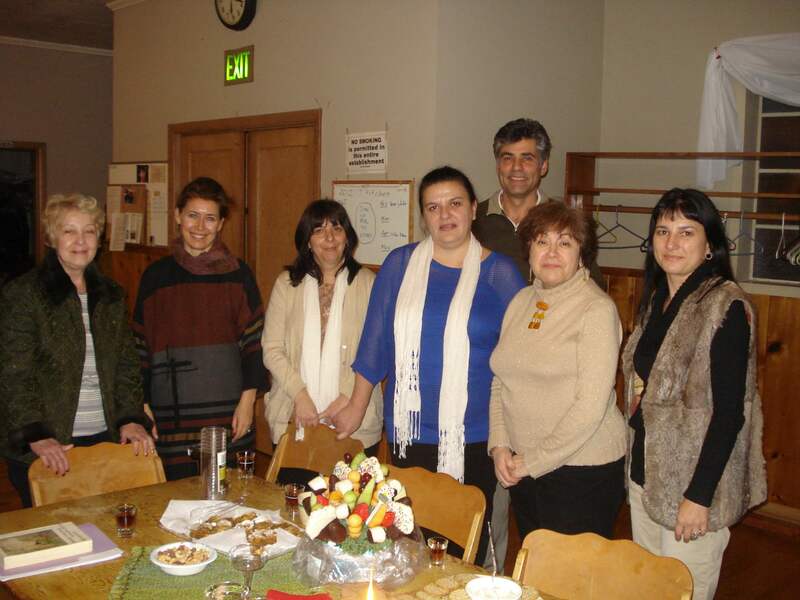 Following the suggestion of Bishop Andrei, of Sofia, Bulgaria, on his visit to Portland, Podkrepa was registered with the State of Oregon as a fraternal organization. Within a year, the social organization grew from 25 to 93 official members (at that time, only men were listed as members but, counting women and children, total membership was roughly 250). Because of their size, the group started looking for a lot to build a community building on. They chose Podkrepa’s current location because many members lived nearby. In 1946, the first round of pledges to raise money for the land brought in $3,750. The lot was then purchased in 1950 and construction began. In 1952 the second round of funding collected $2,531 to build the building. 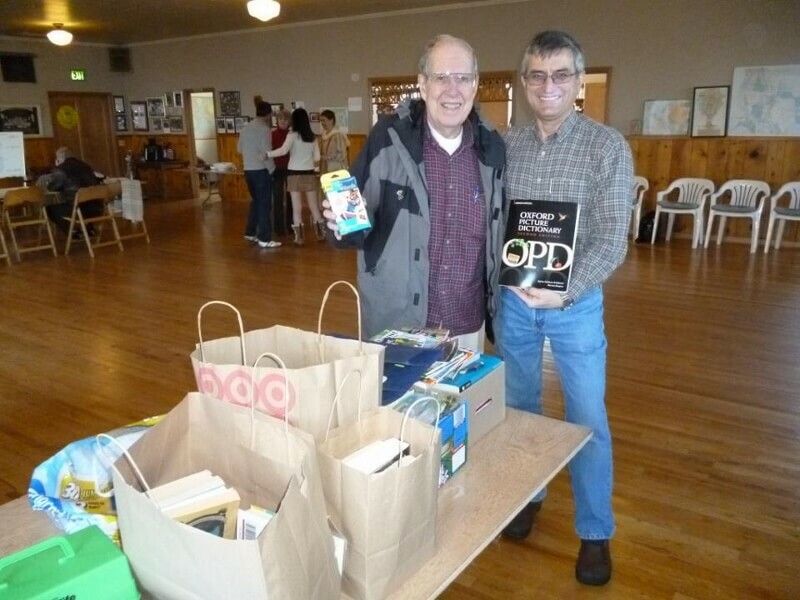 Members and local businesses in the area, that were supported by the members, donated to Podkrepa. The members did as much as of the work as possible to help to keep costs down. On June 8, 1952 the current meeting hall on Killingsworth was dedicated with Rev Nicholas Levko, Pastor of Russian Orthodox church officiating. 1950s the group decided to meet twice a month, once for business and the other purely social. Later, they opted for monthly meetings and a variety of special events. Podkrepa has grown, throughout the years, to include events like annual fundraising teas, holiday bazaars, folk dancing, concerts, holiday celebrations, other celebrations, frequent socials, and regular meetings. That format has continued to the present day. In 2011 Podkrepa officially became a non-profit charitable organization in the State of Oregon. Object and Purpose of Podkrepa Association: The purpose of association is to unite all Bulgarians and/or Macedonians, and their descendants, in the Portland Metro area. We provide education and cultural activities that support the above-mentioned persons and strive to educate the general public about this community. This organization is non-political and non-religous in character, and no discussion of political candidates shall occur in open meetings. We also welcome anyone of any descent who is actively interested in Bulgarian or Macedonian culture, language or history to join us here at Podkrepa. Please contact us if you're interested in joining, we'd love to meet you. Any Bulgarian/Macedonian, their descendants or spouses, or persons interested in supporting the promotion of Bulgarian and Macedonian culture may apply for membership in this association. The application form and membership dues may be submitted to any member of the association. The Secretary will give the Board of Directors' recommendation for acceptance prior to the vote for membership approval at an open meeting. Meetings are usually the 3rd Saturday of the month at 4:00 pm at Podkrepa. Annual dues are $60 per individual as of January 21, 2015. Every Sunday from 1:00pm to 4:00pm the program offers kids a chance to learn or improve their ability to read, write, and speak Bulgarian. 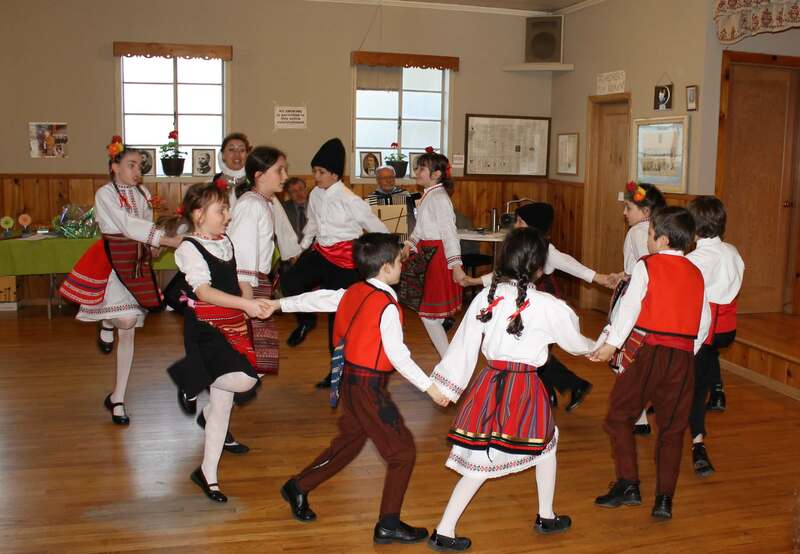 This class includes a mixture of reading, writing, history, and Bulgarian folk dances. Our teachers are highly skilled and great with the kids! A monthly gathering to read and discuss Bulgarian literature. We get together to share our love for poetry, prose, and critical thinking. We also enjoy a delicious potluck and our time together never feels long enough! Rosna Kitka is a group of people with a mutual love for traditional Bulgarian folk music and dance. 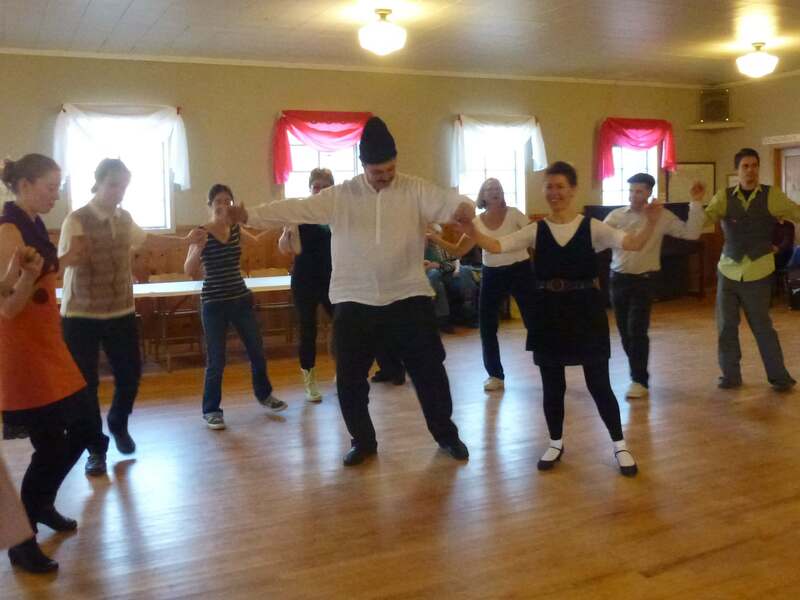 We’re always happy to welcome new people, learn new dances, and dance to our favorite tunes. We listen and dance to Bulgarian, Macedonian, and other balkan music. While dancing is a part of the evening, you don't have to participate and can instead socialize, listen, and watch. This event includes a potluck and has a $5 suggested donation. All donations go towards the operations of the club. This group meets every 4th friday of the month from 7:00pm-9:00pm. 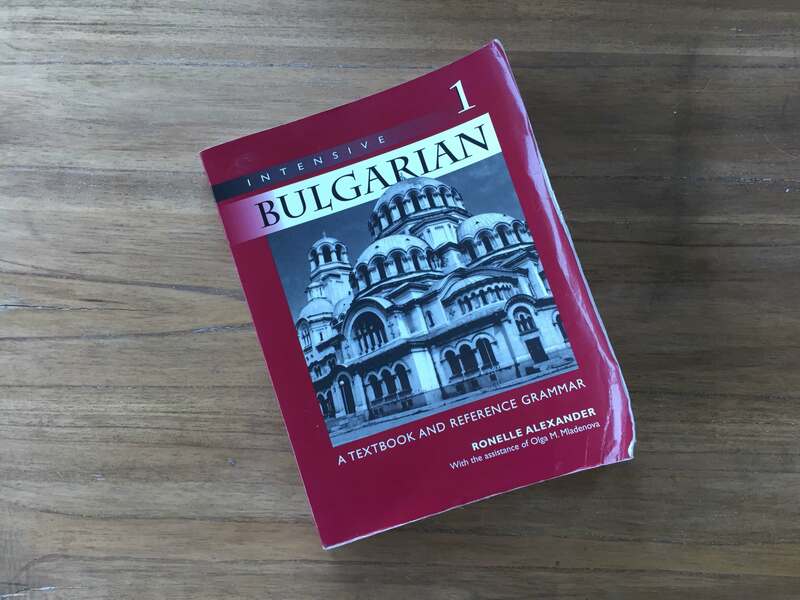 Sundays from 2:00pm-3:00pm we hold language classes for adults who wish to learn Bulgarian. All skill levels are welcome, no previous expereince is required. The Macedonian School Project is a non profit tax exempt 502(c)(3) charitable organization established to assist schools in southwest Macedonia. Visit www.makschools.info for more info.